How can we define a differentiating identity for an aging office building? 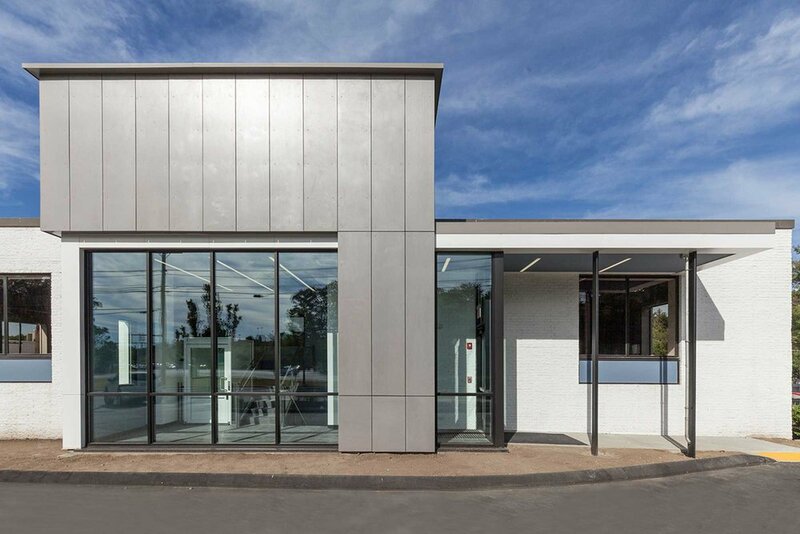 The client’s primary goal in repositioning this low-grade office building was to achieve greater exposure and presence for its ideal commercial location along a major thoroughfare. We elevated the market status of the property by re-designing the parking and procession to a new lobby and canopy serving as a visual landmark and creating a strong identity for the building. The new facade and face-lift reveals the interior through a large transparent glazed wall framed by the folding canopy. Exterior surfaces overlap and appear indoors to blur the boundary between inside and out. Visitors are greeted within the space furthermore by modulated materials, reveals, colors and rhythmic lighting.